Email Security Services | Webservio Inc. Safeguard your business and streamline email management. Current statistics indicate that about 90% of all email traffic is unwanted, malicious, or offensive. Spam and other messages with harmful content are costly to your organization. They decrease employee productivity while increasing security threats and legal liability. An effective spam filtering service reduces risk and lets your employees get back to work. Webservio is proud to offer a broad selection of email security options. All of these services are hosted in the cloud for high reliability. They also include email failover measures to hold your company's emails in the event that your email service goes offline. 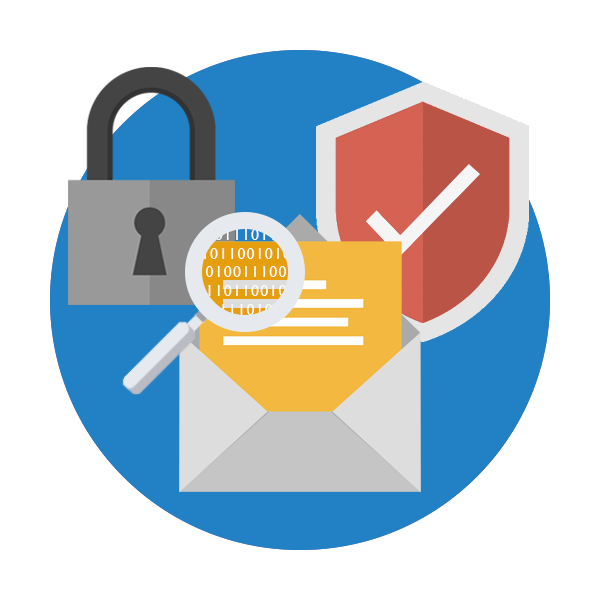 In addition, many of these email security suites include message continuity, email archiving, encryption, and more. With phishing, spoofing, and other email-based attacks on the rise, it's never been more important to have a robust email security service. However, with so many options available it can be difficult to know which is the best fit for your organization. To help you see the differences at a glance, we have an Email Security Comparison Chart. Or set up a phone consultation with one of our expert consultants to quickly identify the best solution for your business. Why Have a Hosted Email Security Service? Eliminate management headaches by upgrading your email protection, continuity, archiving, and encryption with one streamlined solution. A single email virus can cost your organization an enormous amount in damages and lost productivity. It is important to have protection against all threats to data security such as email viruses, spam, phishing, ransomware, email flooding, directory harvest attacks, and denial of service attacks. Every domain has at least one mail exchange record (MX record) to ensure emails are sent to the correct location. This information is public record, similar to a phone book. If this MX record includes the address for your email server, then spammers and hackers can easily target your email system. All of Webservio's email security services provide MX protection. This means that the address of your mail server is replaced by the location of the filtering system. These systems are hosted in the cloud and specifically designed to withstand attacks and manage heavy email volumes. As part of the set-up process, Webservio's engineering team will provide additional configuration instructions to improve the overall security of your mail server. Without an effective email security service, your company's email system can become overwhelmed with the amount of messages it has to process. As a result, your employees may notice it takes a long time to download new emails when checking their inbox. A heavy email load can also cause your mail server to temporarily reject messages and send bounceback errors to your colleagues and clients. Implementing an off-site email security service frees your mail server and office network from the burden of filtering out spam emails. In turn, this increases the life of your mail server and reduces costs associated with resource usage and management. Webservio's filtering solutions do not delay your reception of email, because messages are filtered as they come in and simultaneously delivered to you. And since your office network is no longer processing spam messages, you may even notice your internet connection seems faster! All of Webservio's SaaS email security solutions can be accessed remotely with an online control panel. This feature allows your IT administrators and end users to modify settings and check their spam quarantine from anywhere. You can have multiple admins to delegate tasks or enable users to help themselves. Email templates are also available to inform users of the new system and where to access help documents. With a hosted spam filtering system, updates are applied automatically and your tech team does not have to spend anytime on maintenance. The set-up process is relatively simple, and you will not have to purchase a firewall or install any anti-spam programs on your company workstations. Once set-up is complete, your employees should notice an immediate decrease in the volume of spam, especially if you are not currently using a filtering service. You will not lose any time and money setting up hardware and installing software. You will not spend any time maintaining anti-spam and anti-virus solutions. Our system does all the work! Many of the email security services offered by Webservio include templates for regulatory compliance and other data protection measures. It can be confusing and time consuming to research and implement all of the best practices. Therefore, utilizing a comprehensive email security solution helps simplify the process and gives you peace of mind. Utilizing outbound filtering means that all messages sent from your email system will pass through the email security system to undergo data compliance checks. These policies are enforced no matter where or what devices your employees are using. Email signatures, disclaimers, and encryption can also be applied uniformly across your organization. Opting for a solution that includes message archiving further simplifies email management and makes it easy to search email history across the whole company. Every employee gets paid an average of $25.00 per hour. The bottom line is that you, the employer, spend over $8,500 a year (about $35 daily) paying your employees to sort through all those spam emails. Combining the lost time for all 100 workers, almost 44 days of productivity are lost every year! In this scenario, a company pays one employee per year to check spam mail for every 610 people employed. At this rate, Webservio's SpamWeeder Premium service will pay for itself in less than 2 weeks! These calculations don't even consider the amount of time and money saved by simplified management or avoiding the fallout from virus or ransomware infections. Do the math for your company and choose the email security service that's right for you. If you're not sure which solution would be the best fit, schedule a consultation with one of our friendly and knowledgeable consultants to get a recommendation for your particular scenario. If you are looking for a basic and reliable filtering service, your search is over. 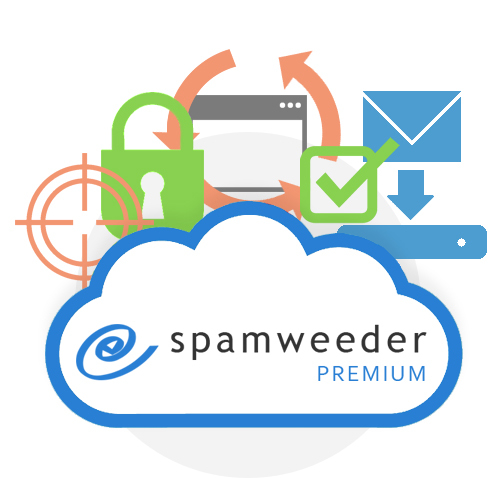 SpamWeeder Premium provides email server security with up to four days of email spooling. The modern icon-based interface makes it the easiest to navigate out of all Webservio's email security services. 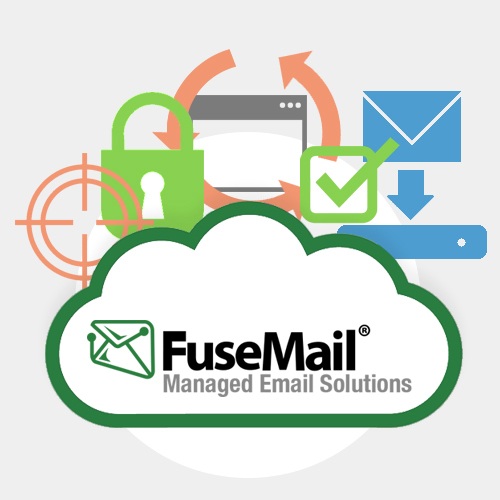 FuseMail's streamlined interface may look simple at first, but it is full of options to customize your email protection that are normally only included in much more expensive, enterprise-level services. Granular filtering options include attachment management, message modification, content analysis, email routing, compliance policies, and more. Seven-day spooling and 14-day email replay features provide protection against temporary mail server outages and accidental deletion of important emails. Optional email continuity gives employees access to 90 days of email history to send and receive emails during downtime. 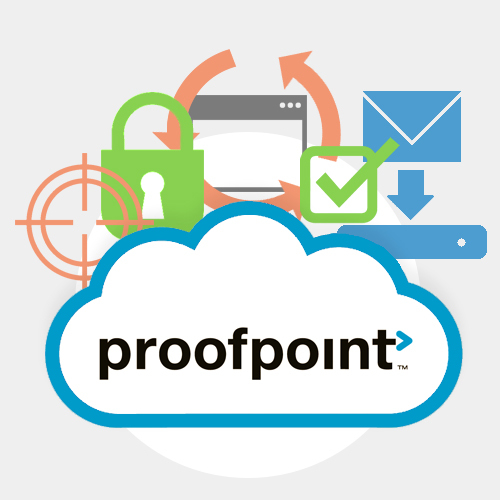 If you are a small or medium-sized business looking for a full-featured solution that just works, Proofpoint Essentials is the right fit for you. Essentials uses the same enterprise-grade filtering engine as the acclaimed Proofpoint Enterprise system, but with a management interface that is much easier to navigate. Integrated Email Continuity and Email Archiving options give your business the full package to ensure headache-free email management for end-users and IT administrators. Pre-configured templates make it easy to implement DLP policies and disclaimers for compliance. Archiving includes up to 10 years of retention with no space restrictions. 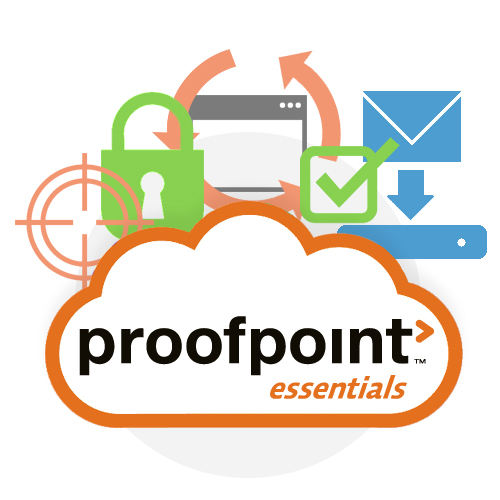 Users can access their security controls and spam quarantine, email continuity inbox, and archiving search functions all within the Proofpoint Essentials web portal. Proofpoint Enterprise has an established reputation as one of the best cybersecurity platforms available. This comprehensive solution allows you to monitor and manage a complex network of email servers and multiple office locations. All email-related activity is viewable from a single management portal, and additional monitoring can be added for social media, mobile devices, and file storage systems. Attacks such as phishing, smishing, ransomware, and data theft often begin when social engineering is used to obtain access credentials from unsuspecting employees. Proofpoint allows you to monitor these various channels and identify potential threats as they emerge, even identifying the specific users and devices that may be affected. Highly customizable message filtering and multi-language capability make Proofpoint the preferred choice for large organizations, especially those operating in multiple countries and continents. Mimecast is a highly customizable system that lifts the burden on managers by putting controls right at employees' fingertips. Most other SaaS solutions require users to log into a web-based control panel. While this is a convenient access method, Mimecast also offers mobile apps and a plug-in for Outlook so that employees can adjust their settings directly from their inbox. Ease of use means IT administrators receive far fewer help requests. 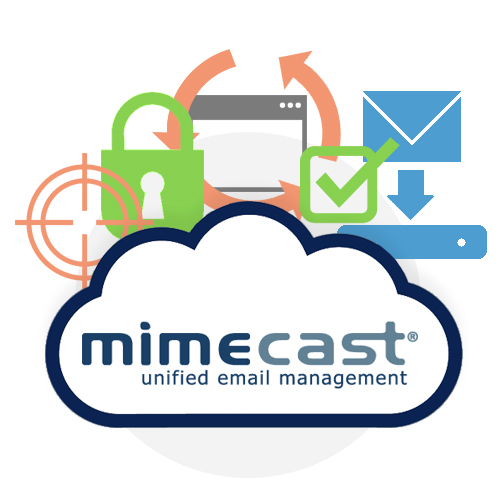 With advanced security and compliance measures, email continuity, and archiving, Mimecast provides a comprehensive email management solution. It is indispensible for growing companies that need to be able to customize their filtering policies and implement seamless data compliance standards. A migration specialist will contact you to gather any additional details about your current service settings and can recommend what new solution(s) would be best-suited to meet your criteria. During the decision-making process, our friendly consultants can provide pricing information, online demonstrations, data sheets, and links to more information about each recommended option. When a decision is reached, the migration team will seamlessly transfer your current settings into the new service. You will receive a technical support sheet with access information and implementation steps for the new filtering service. You choose when to activate the new service.